Penrose is a small unincorporated town in Colorado of approximately 3,500 residents. 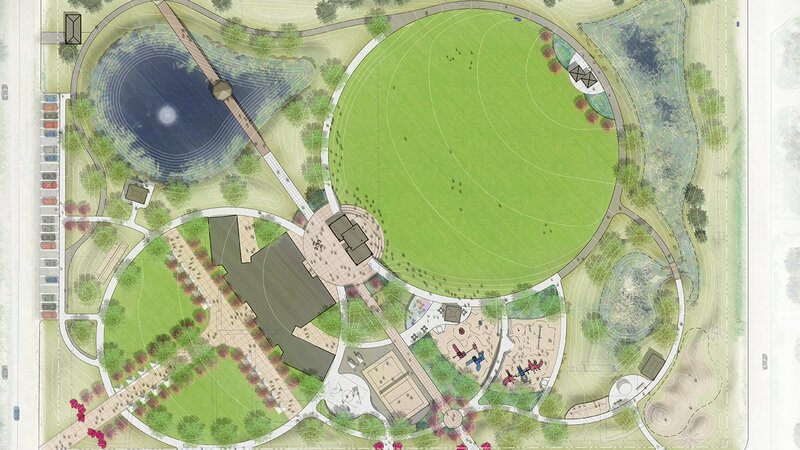 An approximately 8 acre existing park is the only community gathering area for the town besides the elementary school. The existing park is in need of being renovated and the existing park amenities no longer meet the needs of the community. 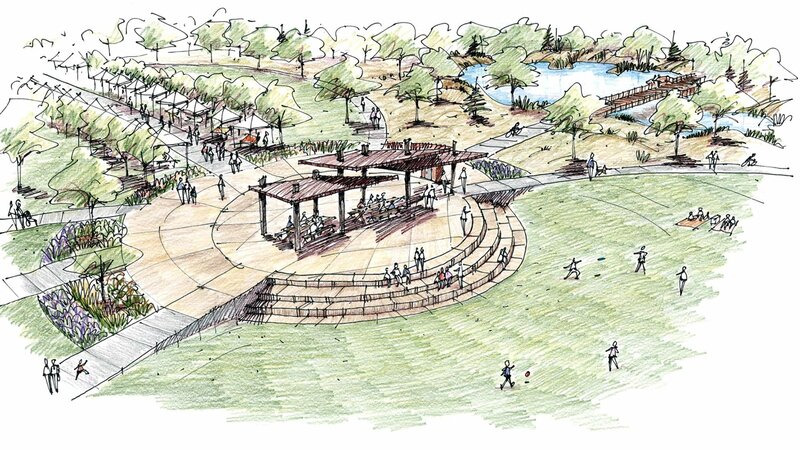 The master plan process evaluated existing site amenities and vetted potential opportunities to activate the park through integration of multigenerational activities and for this park to be the place the residents go for all of their community activities. The park provides a location for a Community Center Facility that will include multi-purpose rooms, concessions, meeting rooms, restrooms, etc. An irrigation pond is designed to utilize water for irrigation as well as be a feature of the park with a boardwalk, fishing pier, and covered gathering area. Other park amenities include a Great Lawn for multi-use activities (soccer, football, weddings, festivals) flanked by a large shelter/bandstand, Sapling Playground with age separated play for 2-5 and 5-12 year olds, climbing wall, free running park area, BMX/mountain bike area, skate spot, slackline, volleyball, basketball and outdoor ping pong tables. Gateways signify the park entry points and parking is kept to the perimeter to provide as much area for park activities as possible.